When we look back and how things were done 50+ years ago, it’s amazing to see how far we have evolved and changed. There are so many inventions when it comes to carpets and cleaning then, it’s almost overwhelming. Today we are going to mention 3 of the biggest inventions regarding carpets and cleaning in history! The first one is, of course, the Vacuum Cleaner!!! It is amazing how much simpler cleaning floors is with one. Before their invention, floors and rugs were swept vigorously to clean them. This was also quite time consuming. With the invention of the vacuum cleaner, it made cleaning a lot faster and more thorough. Particularly for people who have kids or animals. Some of the first vacuum cleaners were not electric, but more what we call carpet sweepers. Powered, electric vacuum cleaners came to be,and to this day are still evolving with technology to provide the best clean possible. The second one is types of flooring. Way back when, most flooring was made of wood or concrete. Some of that was covered with tiles or linoleum as the years progressed. Once carpet became more common and affordable it overtook the other types of flooring, particularly in bedrooms and loungerooms. Today, there are many other types of flooring. Wood, vinyl, linoleum, cork, laminate, tiles, marble and stone are all options. The third is steam carpet cleaning. This is what we at Really Cheap Carpet Cleaning specialise in. Steam, or water-extraction cleaning is the best way to make sure your carpet smells fresh and stays clean. This, coupled with regular vacuuming makes all the difference to the life of your carpets. It is also brilliant for getting ground-in stains out of your carpets and really deep-cleaning the fibres. 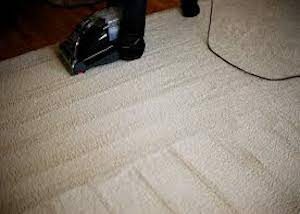 If you ever need carpet cleaning Brisbane service, don’t hesitate to contact us and book in a clean.